FileMaker v11 - I have a barcode that prints perfectly in the demo solution and appears in Browse Mode without issue in my solution. 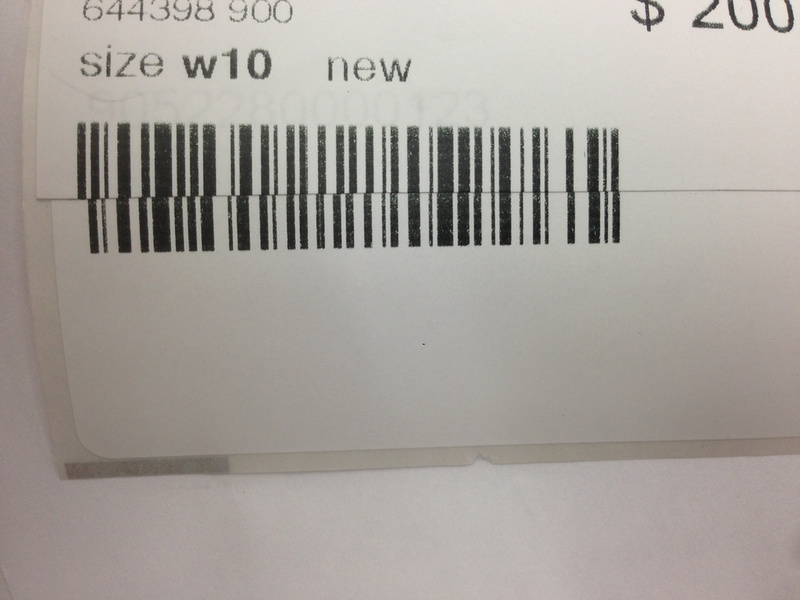 But when I print or view in Preview mode in my solution, there is an extra line on the far left of the 128 barcode. See the attached image and see where the extra line on the top sticker. Any ideas why this might be happening? Note: Since this question was resolved, IDAutomation has updated the FileMaker Native Barcode Generator products. The latest version offers easier and more accurate methods of generating barcodes in FileMaker without the use of plug-ins. Based on the order information, you are using the Native FileMaker Barcode Generator. Is it adding a leading character or leading bars/line? If it is adding a zero to the barcode, it is possible that you are using the Code 128 C function which appends a zero based on this specification. What is the data used to create this particular barcode? I want to run a print. Thanks for the comment - I thought I had uploaded this, but I didn't. Note in the image below, there are two price labels but the top one has one extra bar.